It is our experience that many Web-based training (WBT) systems do not consider the latest advances in teaching or learning paradigms – they simply reflect Web technology. We believe that such a technical approach to building WBT systems has a number of drawbacks, since WBT systems are primarily about teaching and learning, rather than about technology. Thus, WBT systems should actually combine conventional and innovative tools compatible with current Web technology to support well-known, well-tested techniques, and also to enable implementation of new and innovative teaching and learning paradigms in a Web-based environment. Therefore, we built an innovative WBT system called WBT-Master as a Web-based platform supporting a wide range of different teaching and learning paradigms. In this paper, we present a WBT-Master tool that implements the well-known and highly accepted project-based learning paradigm. Further, we present results of the application of this tool in conducting a project-oriented software engineering course attended by more than 200 university students. We also present evaluations of applying WBT-Master within a corporate environment. Helic, D., Krottmaier, H., Maurer, H. & Scerbakov, N. (2005). Enabling Project-Based Learning in WBT Systems. International Journal on E-Learning, 4 (4), 445-461. Norfolk, VA: Association for the Advancement of Computing in Education (AACE). Retrieved April 18, 2019 from https://www.learntechlib.org/primary/p/5421/. Boaler, J. (1997). Experiencing school mathematics: Teachings ty les, sets, and settings. Buckingham, UK: Open University Press. Boaler, J. (1998a). Alternative approaches to teaching, learning, and assessing mathematics. Proceedings of the European Conference for Research on Learning and Instruction, Athens, Greece. Boaler, J. (1998b). Open and closed mathematics: Student experiences and understandings. Journal for Research in Mathematics Education, 29, 41-62. Boaler, J. (1999). Mathematics for the moment, or the millenium? Education Week Commentary, 29, 30 & 34. Cohen, A., & Scardamalia, M. (1998). 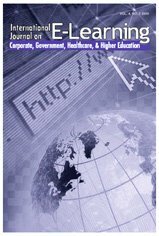 Discourse about ideas: Support for active monitoring and regulation in face-to-face and computer-mediated environments. Interactive Learning Environments, 6(1-2), 114-142. Diehl, W., Grobe, T., Lopez, H., & Cabral, C. (1999). Project-based learning: A strategy for teaching and learning. Boston, MA: Center for Youth Development and Education, Corporation for Business, Work, and Learning. Expeditionary Learning Outward Bound (1999a). A design for comprehensive school reform. Cambridge, MA: Expeditionary Learning Outward Bound. Expeditionary Learning Outward Bound (1999b). Early indicators from schools implementing new American school designs. Cambridge, MA: Expeditionary Learning Outward Bound. Gallagher, S. A., Stepien, W. J., & Rosenthal, H. (1992). The effects of problem-based learning on problem solving. Gifted Child Quarterly, 36, 195-200. Gallagher, S. A., Stepien, W. J., Sher, B. J., & Workman, D. (1995). Implementing problem-based learning in science classrooms. School Science and Mathematics, 95, 136-146. Helic, D., Maurer, H., Lennon, J., & Scerbakov, N. (2001). Aspects of a modern WBT system, Proceedings of the International Conference on Advances in Infrastructure for Electronic Business, Education, Science, and Medicine on the Internet, SSGRR 2001, CD-ROM publication (ISBN: 88-85280-61-7). Jones, B. F., Rasmussen, C. M., & Moffit, M. C. (1997). Real-life problem solving: A collaborative approach to interdisciplinary learning. Washington, DC: American Psychological Association. Krajcik, J. S., Blumenfeld, P. C., Marx, R. W., Bass, K. M., Fredricks, J., & Soloway, E. (1998). Inquiry in project-based science classrooms: Initial attempts by middle school students. The Journal of the Learning Sciences, 7, 313-350. Marx, R. W., Blumenfeld, P. C., Krajcik, J. S., & Soloway, E. (1997). Enacting project-based science: Challenges for practice and policy. Elementary School Journal, 97, 341-358. Moursund, D.
Stepien, W. J., Gallagher, S. A., & Workman, D. (1993). Problem-based learning for traditional and interdisciplinary classrooms. Journal for the Education of the Gifted Child, 16, 338-357. Thomas, J. W., Mergendoller, J. R., & Michaelson, A. (1999). Project-based learning: A handbook for middle and high school teachers. Novato, CA: The Buck Institute for Education. Tretten, R., & Zachariou, P. (1995). Learning about project-based learning: Self-assessment preliminary report of results. San Rafael, CA: The Autodesk Foundation. Tretten, R., & Zachariou, P. (1997). Learning about project-based learning: Assessment of project-based learning in Tinkertech schools. San Rafael, CA: The Autodesk Foundation. Williams, D. C., Hemstreet, S., Liu, M., & Smith, V. D. (1998). Examining how middle schools students use problem-based learning software. Proceedings of ED-MEDIA/ED-Telecom 98 World Conference on Educational Multimedia and Hypermedia, Freiburg, Germany.